Sea, Sand & Sky: Help Save the Harbor #savethesummer from Nahant to Nantasket! Help Save the Harbor #savethesummer from Nahant to Nantasket! All of us at Save the Harbor/Save the Bay know how important the region’s public beaches are to you and the more than 1.9 million people who live within a short ride or drive to the coast. Please take two minutes to call Governor Baker’s office today at 617-725-4005 and let him know how important these spectacular urban natural resources are to you and your community and ask him to accept the Legislature’s recommendation to include them in the FY2018 budget. An aide will take your message, or you can record a voicemail after office hours. If for whatever reason you are unable to get through, please call back, or send an email to constituent.services@state.ma.us. After you give him a call or send him an email, please send us an email at info@savetheharbor.org to let us know so we can keep track of responses as well. Thanks for your help with this. We are confident that your call will make a difference. P.S. Please take a moment to read this short piece by Paul Grogan of The Boston Foundation and Patty Foley of Save the Harbor/Save the Bay, and share this email with your friends who love their beach as much as you do. Carson Beach was one of six public beaches to receive a perfect score for safety. But budget cuts threaten the state’s progress. In 1986, Boston Harbor was a national disgrace, as our waste washed up on beaches from Cape Cod to Cape Ann, limiting public access to what should have been an enviable urban natural resource. Since then, we have made advances in restoring and protecting Boston Harbor that put Boston among the top cities in America for quality of life. 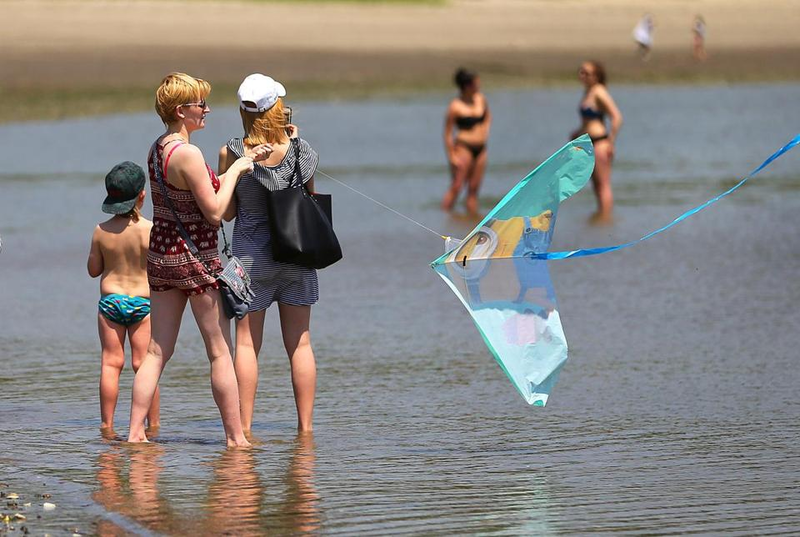 Save the Harbor/Save the Bay’s recent water quality report shows that 13 of our region’s 15 public beaches were clean more than 90 percent of the swimming season, and six, including those in South Boston, achieved perfect scores. The Boston Foundation has been there from the beginning, giving Save the Harbor/Save the Bay its first grant in 1986, and supporting its work for the Metropolitan Beaches Commission since it was created by the Legislature, in 2007, to bring life back to our beaches. The commission’s first report, in 2008, resulted in a $3.5 million increase to the Department of Conservation and Recreation’s budget, the first (and last) increase since 2003. The commission also recommended more than $40 million in capital investments to repair bathhouses and water fountains and restore seawalls and causeways that had been ignored. The state has completed most of these projects and invested millions of dollars more repairing infrastructure and amenities along our 19 miles of swimming beaches. It’s a marvelous story, but deep cuts to DCR’s budget for the metropolitan beaches have put years of work and investment at risk. Over the last nine years, DCR has lost 31 percent of its workforce — more than 400 positions. Moreover, in December 2016, revenue shortfalls forced a reduction to the agency’s budget by an additional $6 million, slashing funds for operations of parks from the Berkshires to Boston. At the same time, the $1.2 million budget for the metropolitan beaches was reduced by a third, cutting staffing and maintenance and eliminating funds for free beach events and programs. This is not a complicated policy issue. Common sense dictates that we continue to make modest investments that protect and leverage the billions we’ve already invested in clean water and the tens of millions we’ve invested to improve our public beaches. For many who cannot afford to get away to Cape Cod or Cape Ann, these beaches are life-enhancing recreational resources. They are also important economic drivers for largely blue-collar and working-class communities from Nahant to Nantasket. In the grand scheme of things, the line items for beaches are not a lot of money. However, they do represent an important political and policy decision for our elected officials. Since 2007, the commission has heard from thousands of the region’s residents, and one thing has been made abundantly clear: The nearly 2 million people who live just a short ride or drive from the coast truly love their beaches and expect them to be safe, clean, and well-maintained. The region’s public beaches are community treasures, but only if we can keep them safe and clean. After a decade of progress, we are once again at risk of failing this basic test. We are confident that both the Legislature and the Baker-Polito administration understand the value of these spectacular urban natural resources to the region’s residents. Last month, the House and Senate increased funding for maintenance, operations, and free events and programs on these beaches. We hope that it is included in the final budget the Legislature sends to Governor Baker, and that he signs off on this vital funding. Paul S. Grogan is president and CEO of The Boston Foundation. 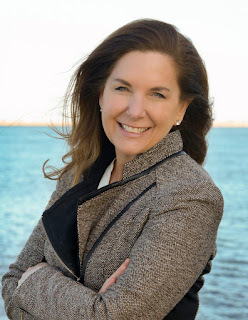 Patricia A. Foley is president of Save the Harbor/Save the Bay.